The Spot fills two concurrent needs. It provides a daily, after-school, three hour program, including dinner, for those with special needs. At the same time, it frees up parents to concentrate on the other children in their family. They can provide homework assistance, create a calm and relaxed dinner environment, and be better prepared to face the evening and bedtime. The SPOT is staffed by young volunteers who are loving and caring, and have created a friendly, warm environment for the children. The program began, serving an average of 15 kids on a daily basis per week, and it continues to grow, providing them with a variety of activities geared to their individual abilities and needs. 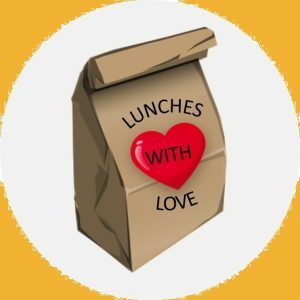 Detroit Chesed Project will provide school lunches to children from families in crisis. Lunches are delivered to homes the evening before school, so children know in the morning that all their needs are being taken care of. Lunches are nutritious, filling, and fun. Children can feel like the rest of their classmates. This has been a gamechanger to overwhelmed families. Utilizing a storefront setting in our Southfield location, we provide varied and brand new merchandise, including kitchen goods, linens, showerheads, vacuum cleaners, coffee makers and other small appliances. Community members are able to visit the home goods gemach by appointment. families are provided with necessary and important goods. There are local families who know all too well what it means to struggle financially. It often means deciding between paying the mortgage or buying food for the family. Enter Tomchei Shabbos. Whether short or long-term assistance is needed, complete catered meals are discreetly distributed to those who need Shabbos food each week. school and the new clothing that helps provide their simchas Yom Tov. Attuned to the feelings of these children, Detroit Chesed shopped for hundreds of boys and girls, outfitting them with new backpacks for the school year and with new shoes, suits, dresses and coats, helping to ensure that they, and their parents, enjoy the beauty and spirit of Yom Tov. Donate to the Detroit Chesed Project Donate Now! © 2019 Detroit Chesed Project. Detroit Chesed Project. All Rights Reserved.